OCEA is adding a 55 metre model to its Oceanemo sports utility yacht line, the French yard announced at Monaco Yacht Show. 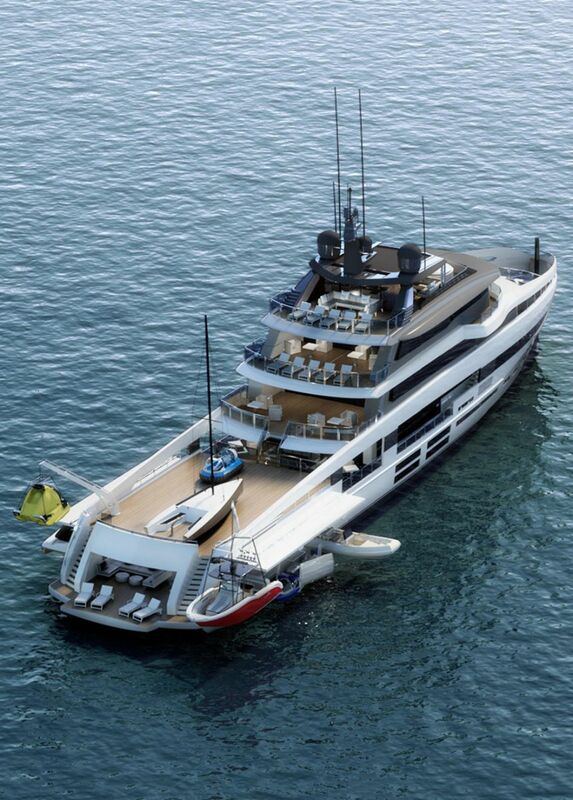 The Oceanemo 55 is the largest yacht in the line, produced in collaboration with Italian designer Fulvio De Simoni. It builds upon the success of the Oceanemo 33 and Oceanemo 44 models and, like its predecessors, will allow its owner to enjoy luxury yachting while exploring the remotest of destinations. 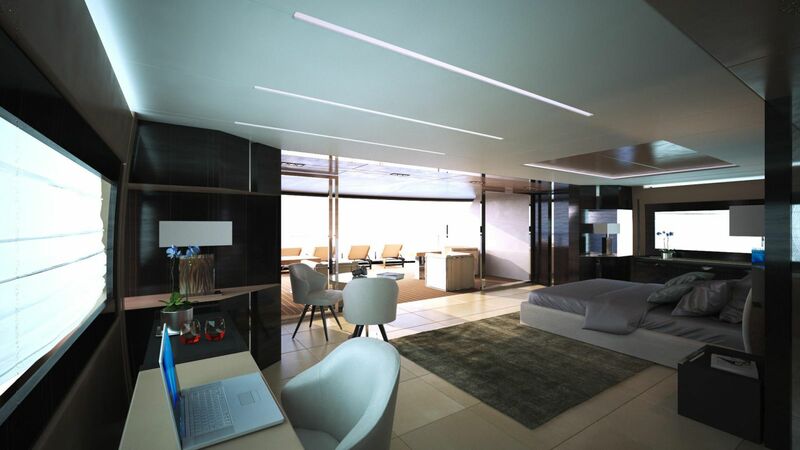 As the renderings above show, the focus of the Oceanemo 55 is on her storage with a large aft deck. It boasts a covered 105 square metre hangar that can house a 9.6 metre limousine tender, a 4.5 metre crew tender, two water jets and a helicopter or seaplane with folding wings. 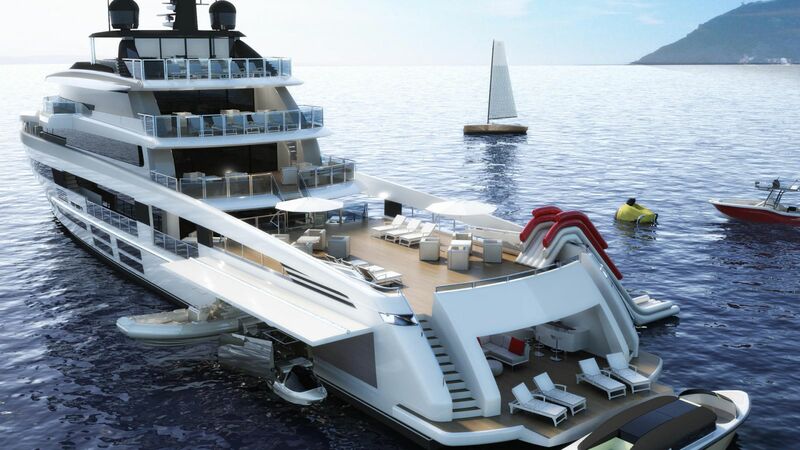 The Oceanemo 55 has further capacity for a plethora of water toys and amenities. Its owner can deep dive with the superyacht submarine, enjoy a fishing trip on its fully equipped fishing boat or have fun on the water with a variety of toys such as slides, water jets and other inflatables. Inside, the owner is given a dedicated 65 square metre apartment that is flanked by large windows and has a desk, coffee table and en suite. 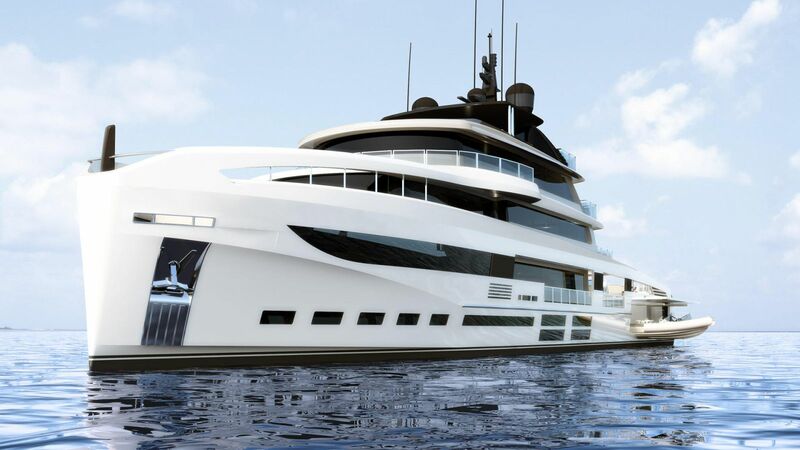 "It’s probably one of the most beautiful and smartest boats I’ve ever designed," said De Simoni. "Obviously, the judgment is subjective, but, from a design point of view, I find that the volumes and the unusual shapes that characterize the 55 are perfectly in harmony with each other and certainly advantage this great yacht!"